Women’s college basketball fans will find out next week, if their favorite teams will be part of the NCAA Women’s College Basketball tournament. ESPN will air the NCAA Women’s Basketball Selection Special presented by Capital One at 7 p.m. on Monday. The two-hour special starts on ESPN, and will move to ESPNU as each team and its seeding is announced. Monday’s broadcast is part of the Tournament Challenge Marathon, which will feature 25 consecutive hours of college basketball coverage and analysis as fans prep their brackets. Prior to Monday night’s special, fans will get an early look at he selection committee’s discussions on the 5 p.m. edition of SportsCenter on Sunday. Following Monday night’s broadcast, the SEC Network will have its own special broadcast in the form of SEC Now: Women’s Basketball Selection Special at 9 p.m.
espnW will also air its own share of programming prior to and after Selection Sunday. Programming highlights are noted below. Charlie Creme will assess the bracket, its biggest surprises and snubs. Mechelle Voepel will examine the wide-open feel of the NCAA tournament and each top seed’s path to the Final Four. espnW also will feature expert picks breaking down every region of the bracket and predictions for the Final Four, and look at the winners and losers in the NCAA tournament bracket. Women’s Tournament Challenge: espnW and the WNBA have created a group for fans. Users can join, create their bracket and then compare it to brackets of players such as Breanna Stewart, A’ja Wilson and more. 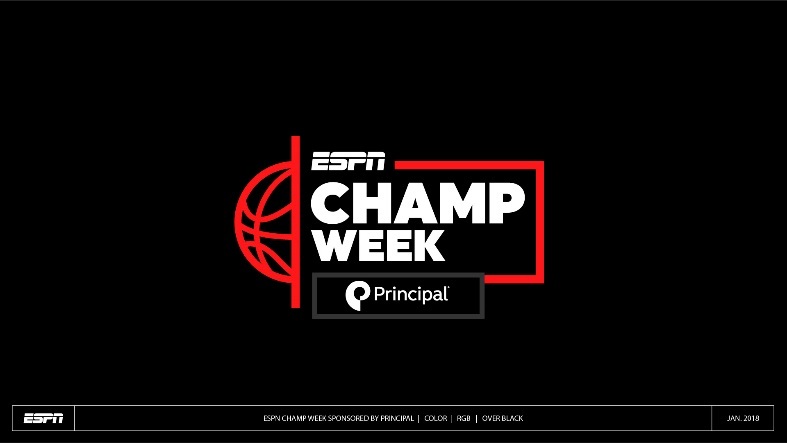 Coverage of the Women’s NCAA College Basketball Championship starts March 22 on ESPN, ESPN2 and the ESPN app. Coverage of the Women’s NCAA College Basketball Final Four runs from April 5-7. The complete schedule for the tournament will be announced soon. ESPN is getting audiences ready for the women’s college basketball championship. The network launched a two-week-long schedule of tournaments that culminates next weekend in a series of women’s college basketball championships. Games on the schedule will be spread across ESPN’s family of networks on ESPN+, ESPNU, ESPN2, the SEC Network, ESPN3 and ACC Network Extra. The schedule will feature a total of almost 200 games. The programming schedule started Monday and continues Tuesday, with the First Round of the A10 Women’s Basketball Tournament and the Quarterfinals of the Horizon League Women’s Basketball Tournament. Programming continues Wednesday with coverage of the SEC Women’s Basketball Tournament, ACC Women’s Basketball Tournament, Ohio Valley Conference Tournament, American East Women’s Conference Championship and the Horizon League Women’s Basketball Tournament. The attention turns to the Metro Atlantic Women’s Basketball Tournament and SoCon Women’s Basketball Tournament on Thursday, along with continued coverage of the ACC Women’s Basketball Tournament, SEC Women’s Basketball Tournament and Ohio Valley Conference Tournament. The full lineup for the ESPN networks’ Women’s Basketball Tournaments broadcasts is noted below. ESPN will air a special extended edition of NFL Countdown this weekend. The network will air a special three-hour edition of the program at noon Sunday ahead of the NFL Conference Championship games. Sam Ponder will anchor the broadcast. He will be joined by Matt Hasselbeck, Randy Moss, Rex Ryan, Charles Wooden, Louis Riddick, Chris Mortensen and Adam Schefter live from ESPN’s Bristol, CT studios for additional commentary. Sunday’s expanded edition of NFL Countdown will feature discussions on topics, such as the McCourty twins, C.J. Anderson and his road to the post season, and Drew Brees’ connection with his teammates. Josina Anderson and Dianna Russini will cover the NFC Championship game between the Rams and Saints. Jeff Darlington and Sal Paolantonio will have coverage of the AFC Championship game between the Rams and Patriots. Prior to Sunday’s special edition of NFL Countdown, the ESPN networks will feature a variety of NFL post season highlights from past seasons, beginning with a special broadcast Saturday morning. The networks’ full broadcast schedule is noted below. Chris Berman will reunite with Tom Jackson Sunday night on NFL Primetime at 10 p.m. Keyshawn Johnson will also be on hand for the broadcast. The trio will recap the highlights of the day’s conference championships. North Dakota State University and Eastern Washington will compete for the FCS College Football Championship this weekend, and ESPN will have full coverage of the game. The network announced in a news release sent Wednesday, that the game will be played Saturday in Frisco, Texas. Coverage is scheduled to start at 11:30 a.m. with FCS Championship Game Preview on ESPNEWS. Gametime coverage is scheduled to start at noon on ESPN2 and the ESPN app. A Spanish-language broadcast will air on ESPN3. North Dakota State is undefeated coming into Saturday’s FCS Championship match, and will look to defend its 2017 title. If the Bison win the title this year, it will be the team’s seventh title in eight years. For Eastern Washington, a title win would be the team’s first since 2010. NDSU is led by Walter Payton Award Finalist, quarterback Easton Stick, running back Bruce Anderson and linebacker Jabril Cox. Head Coach Chris Klieman is in his final season with the Bison, and will take over the head coaching position at Kansas State starting in the 2019 season. Klieman holds a 68-6 record during his time at the helm of NDSU’s football program. The Walter Payton Award — named after NFL great and former Jackson State University standong Walter Payton — is presented annually to the FCS’ top offensive player. It is voted on by a national panel of media and college sports information directors. The Eagles are led by quarterback Eric Barriere and an offense that is ranked third in the nation in yards per play and a defense that is second in turnovers. This is Head Coach Aaron Best’s first season leading Eastern Washington, after spending more than 20 years with the team, four of which were as a player. More than a year has past since the Bison and Eagles met on the gridiron. The last time the teams met was Sept. 9, 2017 at Roos Field in Cheney, WA. North Dakota State University won that match 41-3. Taylor Zarzour, Matt Stinchcomb and Kris Budden will have the call for Saturday’s FCS Championship game. Budden will anchor the game’s pre-game broadcast and will be joined by analysts Rene and Jay Walker for additional commentary. University of California Davis Head Coach and former ESPN analyst Dan Hawkins will be a special guest on the pre-game broadcast. Hawkins led the Aggies to a 10-win season this year. Those wins included seven conference victories — both stats are new school records. As a result of his success this year, Hawkins was named the Eddie Robinson FCS Coach of the Year this season. The Eddie Robinson FCS Coach of the Year Award — named for legendary Grambling State University coach Eddie Robinson — is presented to the FCS’ top Head Coach. It was established by Stats, LLC. the award is voted on by a select group of information directors and sports writers from the FCS. ESPN has announced its broadcast schedule for Week 11 of the 2018 college football season. This week’s schedule features a number of games that have major playoff implications. One of the most notable of the week’s games is an ACC matchup between undefeated No. 2 Clemson and No. 22 Boston College. The headlining Saturday Night Football game is scheduled to air live at 8 p.m. Saturday on ABC. ESPN’s College GameDay Built by the Home Depot will set up the game Saturday morning starting at 9 a.m. It will broadcast live from the campus of Boston College. Saturday’s broadcast marks the first time since 2009 that College GameDay Built by the Home Depot has aired from Boston College. The Eagles are 4-1 in ACC play and second to Clemson in the ACC’s Atlantic Division. The matchup is critical in Clemson’s search for a division (and conference) title, and for the team’s hopes for a spot in this year’s College Football playoffs. Other key matchups featured in this week’s schedule are No. 7 Oklahoma taking on Oklahoma State at 3:30 p.m. on ABC and No. 8 Washington State on the road against Colorado at the same time on ESPN. Both games have their own importance to this year’s college football playoffs impacts. Also, if the Sooners and Cougars each win their games, they will play in their respective conference title games. A win for either team additionally puts each group in good position to be considered for the playoffs. Georgia hosts Auburn at 7 p.m. on ESPN in yet another key matchup for Week 11. ESPN2 will feature yet another big game at noon as UCF and Navy (AAC) face off in Florida. The Knights have the nation’s longest winning streak while the Midshipmen are coming off a loss to Cincinnati in Week 10, so they will be hungry to get back in the “W” column, and to stop the Knights’ streak. The full schedule of this week’s games is noted below. Bill Roth, Mike Golic Jr.
ESPN has announced its early broadcast schedule for its coverage of the NBA’s 2018 pre-season. 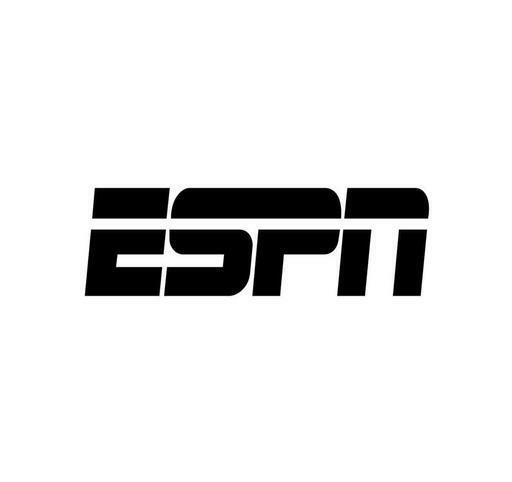 The ESPN networks will broadcast five NBA pre-season games, beginning with a Western Conference matchup between the Denver Nuggets (Northwest Division) and the Los Angeles Lakers (Pacific Division) on September 30. Coverage for that game is currently scheduled to start at 9:30 p.m. ET on ESPN. The second game on the schedule — another Western Conference matchup — is scheduled to be broadcast October 5 at 10:30 p.m. ET, also on ESPN. This time, the Sacramento Kings (Pacific Division) are scheduled to visit fellow Pacific Division foes and defending NBA Champion Golden State Warriors in that game. NBA fans get a double treat on October 10 as ESPN will carry a double header schedule that day. First up at 8 p.m. ET, the Chicago Bulls will host the Indiana Pacers in the Eastern Conference Central Division. At 10:30 p.m. ET the Lakers play host to the Warriors in the Western Conference Pacific Division. The Lakers and Warriors play one more time October 12, this time on ESPN2. Coverage of that game is scheduled to start at 10:30 p.m. ET. The full broadcast schedule for ESPN’s NBA pre-season is outlined below. All five games on the schedule will also be simulcast online via the ESPN app.